Everyone likes to watch movies, share images, listen music etc, actually you, me, and everyone have a wide variety of those media files in our collection in physical drive or any third party server. In this case, a physical drive may be crashed and you may lose all the valuable files or third-party cloud-based server may restrict the ultimate access or provide limited sharing options. 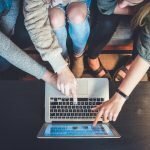 So what’s the best solution for storing all those favorite media files but without much hassle? In this situation, Linux Media Server software can help you to set up a cost and resource effective media server which ultimately let you watch or share or listen all the media files from a remote location on Smartphone or desktop. You, your friends and family, all can have the access to the media files through a secured network protocol locally or remotely. In this article, I will share a list of 15 Best Linux Media Server Software which is not any specific order. Remember, when you go for setting up any media server, you need to have a system running lightweight Linux ( preferable to save resources) or a cloud server and one suitable media server software that suits your requirement best. Here I will help you to choose the best Linux media server software or any video streaming server software by reviewing a set of various free and open source media server software. 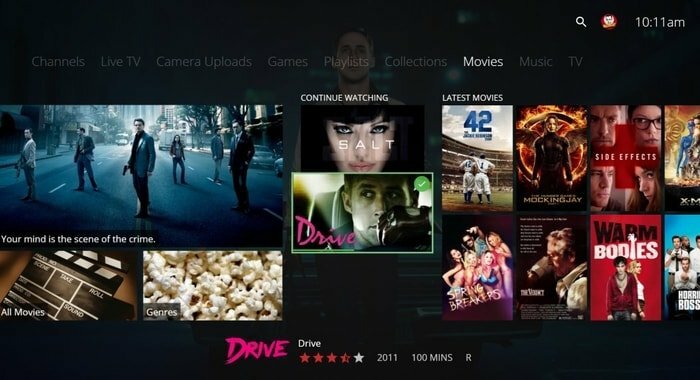 Kodi is one of the best free and open source media server software available in the market. It offers an intuitive graphical user interface with lots of customization options. Kodi is an all in one entertainment software center which supports all the major OS including Android, Linux, Windows, iOS, and MacOS. It supports a web interface and functionality can be increased with the help of add-ons. 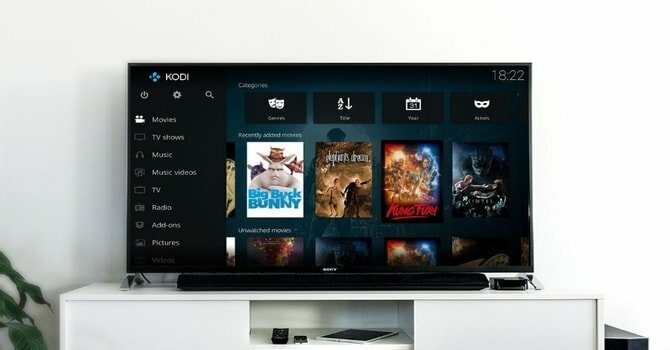 Kodi creates a sustainable network where you can store all the media files and share or enjoy those with friends and family from a local computer or network server. Universal Media Server is a free, cross-platform, and open source media server software for Linux, Windows etc. It focuses on system stability and a wide range of files compatibility. This home media server software comes as nice and clean web interface and easy subtitle integration. 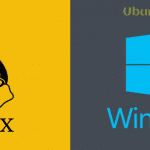 Plex is a secure and powerful media server software for Linux, Windows, MacOS, and many other OSes. This home media server software comes with lots of amazing features which is very easy to install at users end. 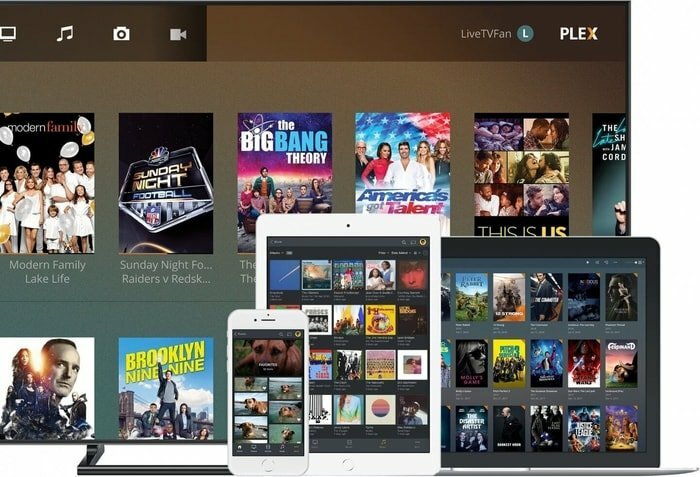 Plex supports almost all the major file format and offers an easy to use interface. All the access to the accounts is encrypted and let you have full freedom of what to share and watch. It also supports cloud sync and gives offline access to the media files. 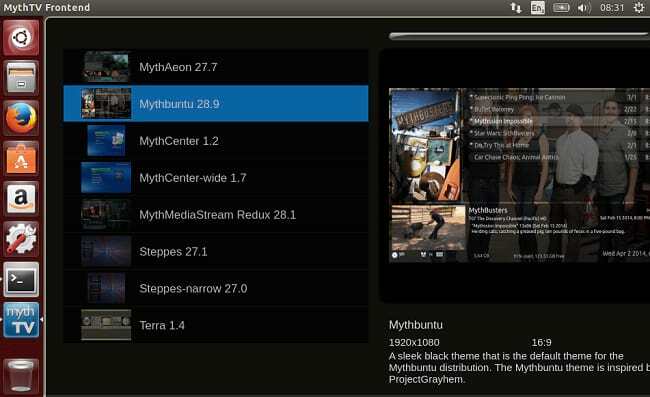 MythTV is a free and open source media server software for all the major OS including Linux, Windows, and MacOS. It has a built-in UPnP support for sharing multimedia content. Subsonic is a solid, feature-rich, and secure home media server for Linux, Windows, MacOS etc. It supports all the major file formats and offers a collection of 25 supported apps that help to stream music and movies into various type of mobile devices. It’s highly configurable and supports secure SSL connections. 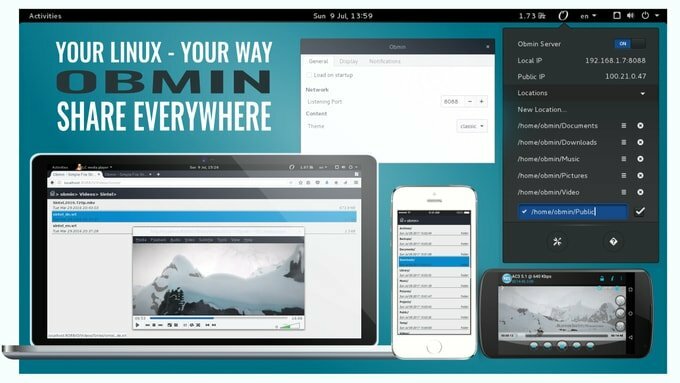 Serviio is java based free and cross-platform DLNA media server for Linux, Mac, and Windows. Like any other Linux media server reviewed here, it also streams various media files and supports both local and online content. Madsonic is a well known, secure, and open source media server software for Linux, Windows, and other Unix based system. This media server software is developed by using Java. It offers Madsonic API for the developer to make own add-ons and scripts. 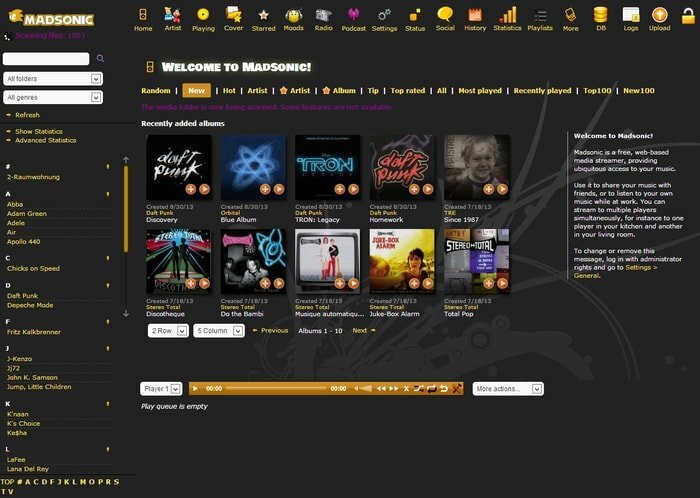 Madsonic is a basically a music streaming software with some unique features like jukebox functionality, Chromecast support etc. If you are searching for a powerful, cross-platform and simple to use media server software then Emby can be the best choice. You can run this neat and clean media server software on a machine running Linux, MacOS, Windows etc. It offers web client for browser-based access on various mobile devices or simply use emby TV app. Once you get settled installing emby media server software, it will be very easy to manage personal videos, music, images etc via an easy to use and intuitive graphical user interface. It also syncs media files on mobile and cloud sources seamlessly. 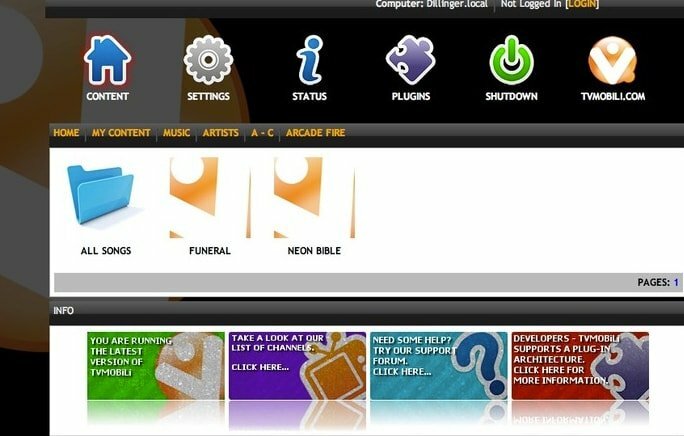 Gerbera is a unique Linux media server software that comes with a set of tools and features, allowing you to customize and set up the home media server as like as you just need. It let you get metadata from various file formats and allow you playback media through UPnP. There are lots of plugins and scripts available which let you flexible transcoding of various media formats. 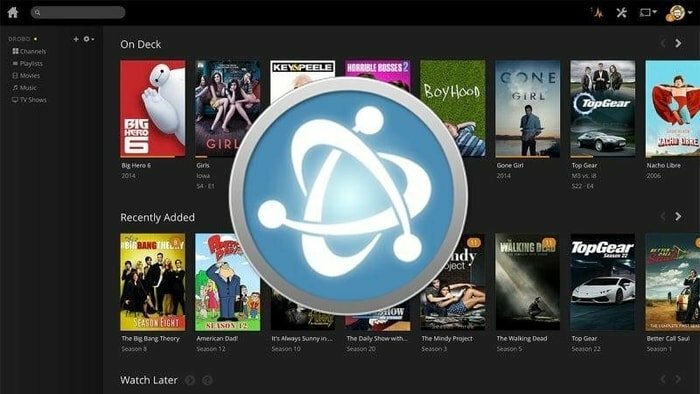 Tvmobili is a cross-platform and lightweight media server software for Linux, Windows and Mac OS. This software also runs on low-end devices and demand very fewer resources. Embedded and ARM devices are also well supported. It offers easy server configuration and supports full 1080p high definition. Unlike any other Linux media server, OpenELEC is a lightweight and secure Linux OS which let you set up a high performed and configurable Linux UPnP server using Kodi. It’s a basically a foundation hub on top of that you can run Kodi media server software. 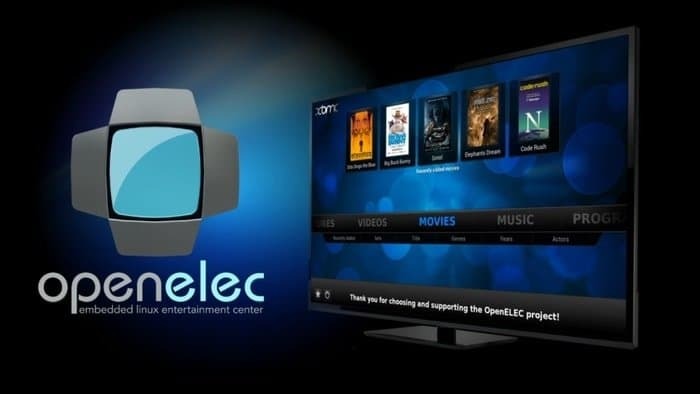 OpenELEC is an all in one solution for managing and browsing media files including movies, music, audiobooks, TV shows etc. Moreover, you can also record your favorite TV series for watching afterward. The overall performance and functionality can be increased with the help of Add-ons. 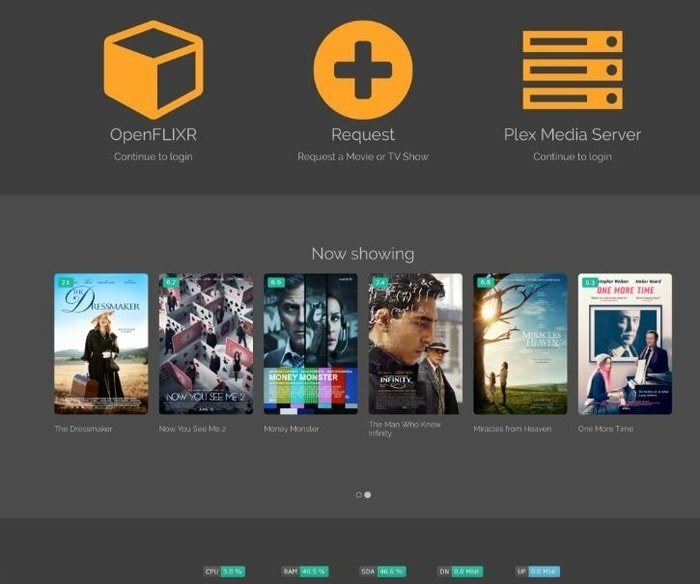 OpenFlixr is an energy efficient, secure and automated home media server software. It takes help of other media server software to get its full capability. Like, it uses plex for managing music, movies, images etc. It provides a browser-based reader for comics and ebooks using Ubooquity. OSMC is free, open source and featured rich media management and streaming server software for Linux. 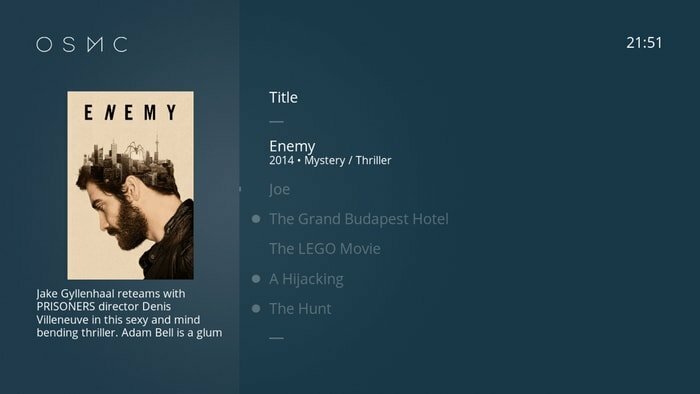 It’s based on Kodi and supports all sort of media files. It’s easy to setup and provides a nice looking GUI with a variety of sharing protocols. One of my Google+ friend has requested to check Obmin as media server software. I have a look and found that this piece of HTTP file server software is under heavy development and doesn’t offer many features right this moment. But it has a possibility to become a good choice for file sharing and media server in near future. Obmin is easy to install and multiplatform HTTP transfer protocol available everywhere in Linux, OSX, Windows, Android, iOS so. Moreover, it supports various Linux desktop environments like Gnome, Mate, KDE, LXDE, XFCE, Unity, and much more. At last, it’s an obvious question that what’s the best Linux Media Server Software? Choosing best Linux media server software is like what tools and features you are searching for. The answer to this query heavily depends on few things like the types of device you want to use, types of user you are (newbie or admin), types of file format you want to run (video or audio or both), easy web interface, transcoding, metadata scraping, media recording facility etc. All those matters will help you to set and get best Linux media server software. 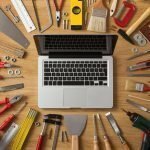 If you are a newbie then I recommend you use Plex and Kodi if you are an admin which provides lots of tools and features for a home media server. Moreover, OpenFLIXR is worth trying. Besides of Plex, Kodi or OpenFLIXR, all other media streaming server software are also worth trying so that you understand which one is best and fulfill the demand. Did you like this list of Linux media server software? Did l miss any other best media server software in this list? Let me know in the comment section. Share it with your friends and family on social media. Thanks for the time you spent here. Total newbie here. What is a back and and why is it needed? Can I use any of the media center software as a stand alone? I appreciate your patience and for helping me out. Kodi home theater is the best one. I think Kodi is one of the best that offer a versatile solution to creating an awesome HTPC. You have Media Portal on the list, but even though it is open source, it has never been available for Linux. It’s purely a Windows based client/server system. Also, you leave out MythTV, the grandfather of all Linux based home theater/PVR software. Thanks for the comment and correction. Yes, you are correct that MediaPortal is for only Windows OS. I have removed MediaPortal and added MythTV instead.